The Human Genome Project has heralded a new era in our understanding of the molecular basis of disease. Genome-based medicine or personalized medicine is believed to be the future of healthcare. Indeed, genomic medicine is poised to improve disease diagnosis, therapy and prevention. Although genomics is related to genetics, there is a difference between the two terms. Genetics is the study of single genes and their effects. In contrast, genomics is the study of all the genes in the genome and the interactions among them and their environment. Genetics uses the information from one or two genes to describe a disease state, whereas genomics examines all genetic information to determine biological markers predisposing a person to disease. Genomics is especially relevant for complex or multifactoral disorders such as cancer, Parkinson’s disease, heart disease and diabetes, which are due to the interaction of multiple genes and environmental factors . March 25, 2008 will mark the American Diabetes Associations’ 20th annual American Diabetes Alert Day. As implied by “alert,” the day serves as a call to action for those individuals at risk to take the Association’s Diabetes Risk Test, and make an appointment with a healthcare provider if necessary. Since 54 million Americans have pre-diabetes, it is crucial for those at risk to take heed from the American Diabetes Association’s Diabetes Alert Day. Those at risk include overweight individuals, those not leading an active lifestyle (not taking enough exercise), and those with a family history of diabetes. Furthermore, the American Diabetes Association recommends that people aged 45 and older be screened every three years (those at higher risk should seek screenings more regularly). Since diabetes has no cure, affects nearly 20 million Americans (of these 6 million don’t know they have diabetes), and is the fifth leading cause of death by disease, the fear of testing positive for diabetes and the seemingly insurmountable lifestyle changes and health management requirements accompanying the disease can be quite daunting. Fortunately, the Web provides a wealth of information, and the interaction developments offered by Web 2.0 can make the quality of life of those living with diabetes a little better. With 5 — 10% of all Web searches being health related, the need for people to not only get health information, but also make it easy to access and interact with, is vital and reflects the evolving needs of Web users that Web 2.0 seeks to meet effectively. Sites like RightHealth.com, Healia.com, Revolution Health or WebMD are excellent starting points to quickly get acquainted with the information surrounding the topic diabetes. Healia provides multi-dimensional filtered search results, whereas RightHealth algorithmically orders information from across the web and presents it in an easy-to-understand content format. Revolution Health, Web MD and RightHealth all blend the lines of information and community to offer multiple dimensions to getting information on diabetes. From RightHealth, I learned a bulk of the facts I already mentioned in this posting, as well as what diabetes actually is: a life-long disease characterized by high blood sugar levels. 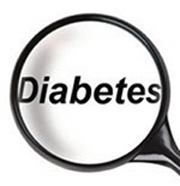 The causes of diabetes can include too little insulin (the hormone the pancreas produces to manage blood sugar), a resistance to insulin, or a combination of both. Beyond this basic information, RightHealth also features easy-to-understand jump-offs to other sites, like Trusted Sources (organizations connected with diabetes that provide detailed information about the disease), and an Explore section that gives a snapshot of the language and topics used to understand diabetes. So Health 2.0 makes getting or understanding information about dense topics easier, but that’s just the beginning. A new site, Mamaherb.com bills itself as a way ” … to find natural treatments that can really help,” by fostering a community where users share stories about what alternative treatment options have worked for them. For diabetes sufferers that want to explore homeopathic remedies, Mamaherb is an invaluable resource. A search on “diabetes” showed that people had moderate success with such natural remedies as bilberry juice, buckwheat tea, broccoli extract and buchu leaves. Where else could you get this type of deep information easily? The key to better health for diabetics is better control over the disease by carefully monitoring their blood sugar levels. This might sound simple, but it can be surprisingly complex. Fortunately, there is Sugarstats.com, which provides an interface to, “track, monitor, and share [your] blood sugar levels and other key statistics to help manage your diabetes online.” With timelines and graphs, it becomes easier and more accessible for a diabetic to manage the trends in their blood sugar levels and target ways to reduce blood sugar levels. The touchstone of Web 2.0 is the user. While there are the mega sites like Facebook and MySpace where one could find other diabetics to share stories and advice, there are also even more targeted community sites which serve specifically the health or diabetic communities. iMedix.com is a place where users can rate medical articles that have helped them (like Digg meets Health) and chat with other people that share similar interests. When I searched iMedix for “diabetes,” I was told that there were three people online who I could chat with and around 500 offline that also share an interest and want to talk about diabetes. Another valuable resource was icyou.com, where users post health videos, which was a great way to cut through non-health-related videos you might find on mega sites like YouTube.com. But perhaps the most valuable resource was tudiabetes.com, which is a rich and vibrant community site committed to those afflicted with or touched by diabetes. With such resources available today with the advent of Health 2.0, and by extension Diabetes 2.0, living life with diabetes just got a little bit easier. Additional Health 2.0, Patient Social Networks and Diabetes resources are listed in the Highlight HEALTH Web Directory. A recent study evaluating the effects of fast-food-based overeating on liver enzymes and liver triglyceride content has been making the news this week. However, most media sources have been incorrectly interpreting the results. The Swedish study, published in the British Medical Association journal Gut, suggests that eating too much fast food can cause liver damage .